An Origami brainteaser has ten puzzles which kids can take as much time as they need to master. There are a variety of outcomes for puzzles such as the Flexi twist and Lotus of the Heart. The puzzles are brainteasers with many bold colors that spur creativity and art. It helps the kid master patience, think logically and overcome a challenge. The kid learns to stick to a project until its completion. Spirographs assist kids in creating a variety of shapes. The endless designs are fascinating to children. The kit has swirls and geometric patterns that make it easy to create any spiral shape imaginable. Children can learn the art of layering and alternating colors to come up with a transformative piece that they can show off to friends. Spirograph brings to life traditional hands-on art that enhances imagination. Kids can design with their friends hence fostering social relationships. Affirming long-lasting friendship is vital for 10-year old girls. Friendship bracelets are a great physical representation of a bond. The kit comes with looms for making bracelets, embroidery floss of different colors, beads, and a beading needle. The gift is perfect for nourishing social relationships and learning teamwork. Get your child the Hearth song large super soft plush if they love cuddling toys or are big fans of Dazzle the Unicorn. The plush has hearts, a pink collar, and the mane and tail are also fluffy. It is a perfect travel buddy or a bedtime companion for your kid to stroke and cuddle. It is a durable gift and easy to launder. The child can color and design the pillowcase using washable fabric makers. You can launder the pillowcase due to the washable makers. It encourages creativity; a child can draw their favorite their favorite characters or doodle anything. The kit is meant to keep the girls busy making great hair accessories. It has crystals, glitter gel, and rhinestones for decorating the hair accessories. 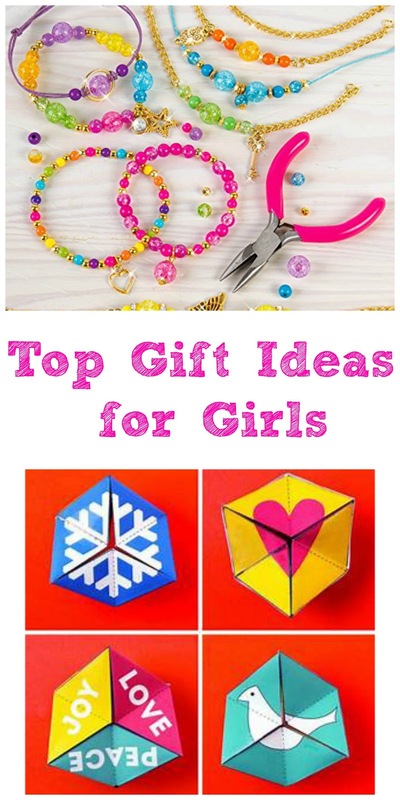 It is the perfect gift for girls with an inclination towards art. It fosters creativity as the kids spend hours creating unique patterns and designs. It is a unique art and craft kit that encourages children to stamp a variety of pictures and then color. The set has colored pencils for sketching and coloring and pads of washable ink. The game promotes creativity and concept. The kids can use it to make cards and various scenes which enhances the motor ability and coordination skills. Always pick a gift that enhances the kid’s personality or develops their hobby. Do not forget to include something pink and pretty.